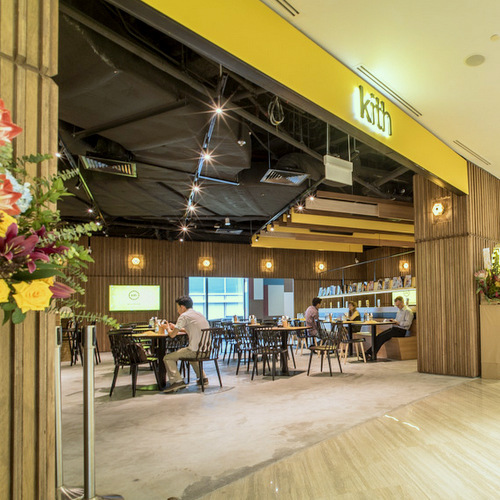 Kith Café chain has a total of eight locations in Singapore, including one within Marina Square shopping centre (6 Raffles Boulevard). At Kith Café, you can enjoy cups of great coffee and meals of delicious, fuss-free food in an stylish environment. The chain pays close attention to the quality of their coffee, designed to be sweet, heavy and rich, with a blend of unique selection of specialty beans from various renowned coffee regions. Kith Café rotates the blend origins from time to time as part of an ongoing fine-tuning process, yet the resulting cuppa is always smooth & thick-bodied with underlying tones of dark fruits and cocoa, finishing with an intense, lingering aftertaste. On the menu, you’ll find a selection of original recipes that have been conceptualised by the cafe’s own chefs, making use of the freshest ingredients for simple, hearty and wholly satisfying fare. With an in-house pastry kitchen and pizza bar, customers can look forward to a constantly-evolving menu of breads and pastries, along with daily crafted sandwich specials and pasta dishes. The official Facebook brand page for Kith Café is located at www.facebook.com/kithcafe/. Following the Facebook page, you’ll stay updated about the chain’s promotions, events, and much more.